It may be unbelievable to know that human trafficking exists in every corner of the globe, but statistics have shown that in the last 5 years alone, 89 million people have undergone some form of modern slavery, with women and girls representing the greatest share among them. You can make a difference by choosing who you shop with and where and how you spend our dollar. There are many socially-conscious companies and non-profits stepping up to provide opportunities and empowerment to some of the world's most disadvantaged communities while providing quality, one-of-a-kind merchandise. I am so excited to be able to highlight the incredible work that they do in this two-part series- you are going to want to bookmark these sites! ABLE is a lifestyle brand focused on ending generational poverty through providing economic opportunity for women, and they provide unparalleled transparency into the social impact of our employment and manufacturing practices. They are a one-stop shop for ethical fashion, offering leather goods, handmade jewelry, denim, clothing and footwear. Aruna is a Fair Trade certified non-profit that offers sustained freedom and employment to previously enslaved women in Mumbai, India making bags and athleisure goods. Each Aruna product is made by a team of free artisans in their production unit where they receive holistic care. The BRANDED Collective works with survivors of human trafficking from Nashville-based non-profit End Slavery Tennessee. The women design and handcraft the jewelry collection and each item is stamped with an initial and a number which belongs to the survivor who made your cuff. Citizen & Darling is a clothing line designed to build awareness and support to the ever growing epidemic of modern day slavery and human trafficking. They are about expressing your personal style and bringing change to another life. Collective Humanity is a nonprofit organization partnering with female artisans in Cambodia to create demand for their products and help them generate sustainable, consistent, and dignified sources of income. All profits, donations and grants are invested back into skill training and empowerment programs for the artisans and their families. Crowned Free is dedicated to raising awareness and empowering women who have been rescued from human trafficking.They give back by donating 15% of their profits to organizations that work to restore, rescue, and rehabilitate survivors, as well as creating sustainable jobs for girls who have been rescued to make over half of their products. Elegantees aims to fight human trafficking in Nepal through employment opportunities, and all their products are ethically made by those who have overcome. Their workers are paid fair wages and they are committed to sustainability by using organic cotton and dead-stock fabric. Findlay is a thoughtfully designed line of bags made with responsibly sourced materials, created to last a lifetime not just a season. They donate a percentage of the profits to non-profits serving victims of human trafficking and are committed to raising awareness on behalf of victims and survivors. Freeleaf is a social enterprise in Asia that provides employment and social services to at-risk, exploited and abused women. They make beautiful products and actively work towards creating a world where women are "knot for sale." Malia Designs is a socially responsible brand that designs and sells fair trade handbags and accessories. Their products are handcrafted in Cambodia and every purchase helps to fight human trafficking. The Mata Traders mission is to ‘fashion a better world’ by creating designs that celebrate a woman’s originality and empower her to use her dollar for change. They merge uncommonly vibrant style with fair trade practices to make an impact on global poverty – bringing fair wages to artisans in India and Nepal. Mulxiply invests in indigenous, artisanal businesses who collaborate to produce their contemporary designs via age-old techniques. This allows them to keep heritage handicraft alive and provide local employment where those with little or no education are at risk of being trafficked to other countries or enslaved in migrant worker schemes abroad. Nomi Network’s vision is a world without slavery where every woman can know her full potential. They create economic opportunities for survivorscand women at risk of human trafficking by equipping them with leadership, entrepreneurship, and production skills to become financially independent. Noonday Collection partners with artisan businesses in some of the world's most vulnerable communities with an inspired collection of jewelry and accessories. They do so through fair trade and empowering them to grow sustainably and to create dignified jobs for people who need them. Passion Lilie is a trade-based movement that focuses on creating long-term relationships based on transparency, trust, and respect with producers in underserved areas. They are committed to using eco-friendly materials throughout the supply chain and preserving the artistic and cultural talents of our craftspeople. PURPOSE jewelry is beautifully crafted by young women rescued from human trafficking. Through their non-profit International Sanctuary, the art of jewelry making is paired with holistic care to ensure that every artisan receives freedom and hope for the future, and includes education, health care, and counseling. All photos in this post are credited to the respective brands. 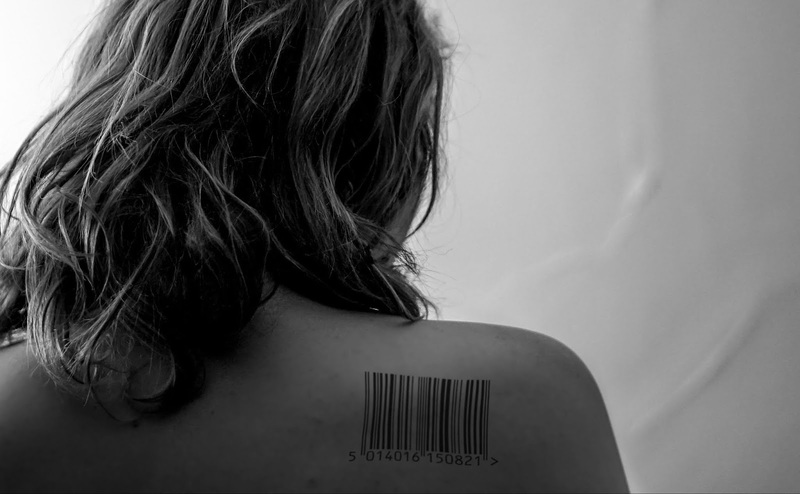 Learn more about the typologies of modern day slavery and connect with anti-trafficking organizations here. Click here for Part 2 of the Complete Guide!